Global warming? 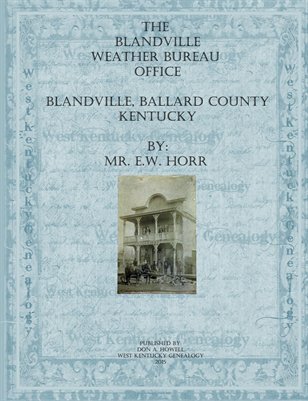 Well take a look at the weather patterns in western, KY back in the later half of the 1800's to 1906 as recorded by Mr. E.W. Horr of Blandville, Ballard County, Kentucky.